Last Sunday morning on January 27, we scheduled a short prayer time at the new land God has given us. We are still awaiting approval from the municipality to begin construction and we wanted to honor God and ask for His blessing and protection over all of the future construction process and over all the people who will be involved in putting up the multi-purpose facility for the glory of God. Here is a short video clip of our time last Sunday that Pii Gahn put together for us and for you. Please continue to seek the throne of grace on our behalf. We are still waiting for the “municipality” to approve our construction plans and expect to hear from them any day now. This new multipurpose facility, once it is completed, will be our new home for the NTIM Field office, the Channel of Blessing Foundation of Thailand office, and Grace Language School. 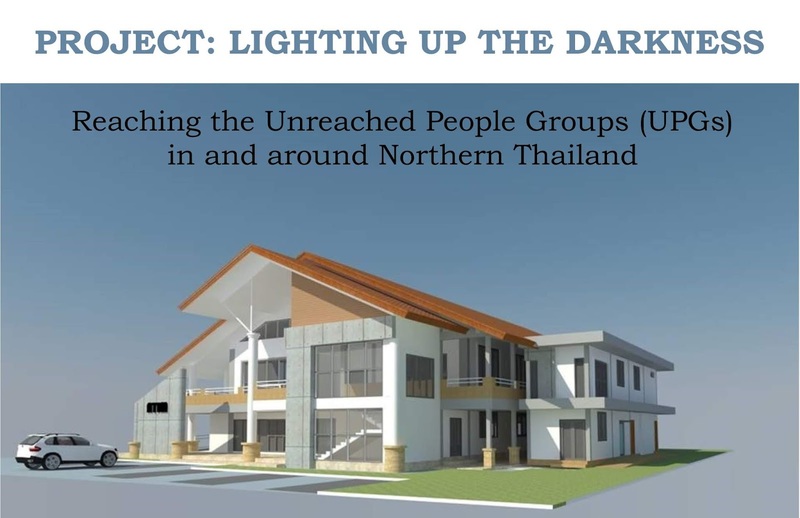 It will also be where Baan Athitaan Church meets and has offices and will be a place where partners in ministry like Crave International will have an office as well. Please keep us in your prayers. If you haven't given and would like to give to our building project, we still need about $200,000 U.S. dollars to complete the project for the glory of God. You can give online or send a check – all of which are tax deductible - to the address on our website at: www.gontim.org. NTIM is a non-profit 501(c)(3)charitable organization based in the USA. 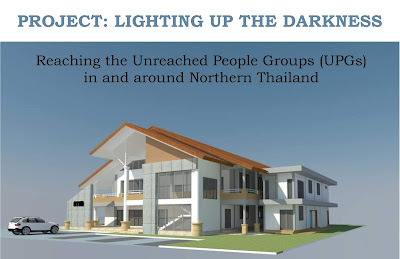 We are committed to connecting people in need with people who care and are focused in the heart of Southeast Asia where poverty is high, education is low, needs are great, unreached people groups (UPGs) are all around us, and the love and message of Jesus is needed to transform lives. Reaching, Teaching, Discipling, Equipping, Training, and Serving People in God’s World through acts of love and compassionate is what NTIM and our ministry team is all about.